Dartmouth Tuck MBA Application Deadlines 2014-2015 have been released for the upcoming MBA admissions year as more business schools are posting their application deadlines for the upcoming MBA admissions year. 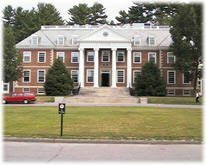 Tuck School of Business at Dartmouth joins Stanford Graduate School of Business MBA Application Deadlines and Harvard Business School MBA Application Deadlines in releasing their deadlines. Visit Dartmouth Tuck Application Process and Important Dates for more information. © 2004 – 2019 · MBAPrepAdvantage, Inc. All Rights Reserved.